Hidden doors are disguised as a piece of furniture and conceal a hidden room. Popular designs include bookcases, entertainment centers and wine racks. Hidden doors can camouflage almost any type of room, such as an office, jewelry room, gun closet or a panic room. Determine what your objective is for your DIY hidden door to establish how much money and time you should invest in the project. A gun closet requires a different approach than a private office. Build a hidden door that will meet your needs. Assess your skill level and how much time and resources you want to put into your hidden door. The finished project must blend into your current décor for successful concealment. Hidden door plans are available on the Internet. Check out the resources at the end of this article for some free plans. You can also develop your own hidden door design and plans. DIY hidden door designs come in a range of sizes and dimensions and do not have to be a rectangular, flat panel or other traditional types. A range of woods are used for hidden doors, including, including paint grade, Beech wood, maple, oak, cherry, mahogany and walnut. There are several ways to approach a hidden door project. The designs range from the simple to the sophisticated. There are many do-it yourself hidden door plans available on the Internet. If you like, choose a simple, lightweight design, such as a mirror hidden door. 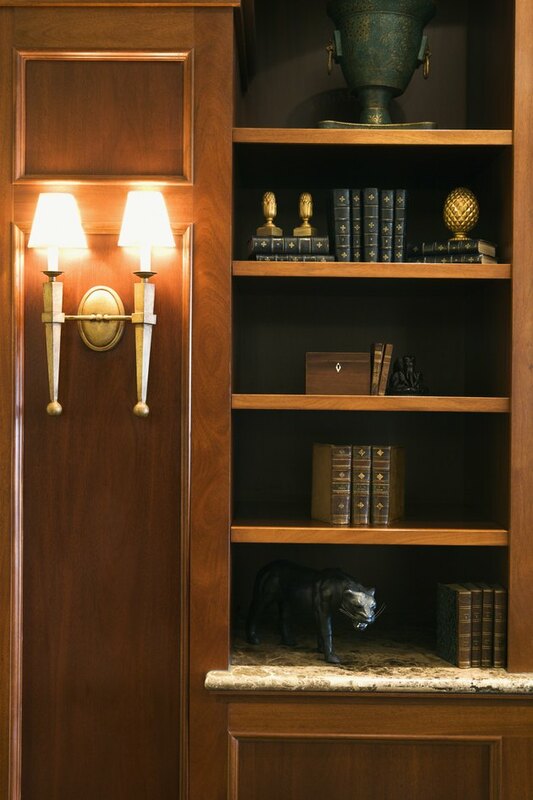 Bookcases are a popular choice for concealing hidden doors. You can purchase door kits that are specifically designed to replace an existing door and have verything you need to install the hidden door without having to make any modifications. Contact local door vendors in your area for these kits or buy them from online vendors. Just enter "hidden door kits" into the search box to locate Internet sources. Make sure that the framing structure is strong enough to support the bookcase or it will eventually sag. If you decide to purchase plans, make sure that you read the instructions and follow the plans carefully. Some plans are designed for you to make adjustments and modifications to fit your personal preferences. For a lightweight approach, install a minimally designed bookcase with nine-inch shelving on an existing door opening. Usually, a piano hinge, which runs the length of a door, replaces the three door hinges. Some people mount coasters on the bottom of the book case to assist the pivoting process. A more complicated project involves building a high-quality bookcase with 10- or 12-inch-deep shelving. The sides are made out of one-inch plywood. The back is a three-quarter-inch panel of plywood. The hinge on this design is a center-hung pivot pin. The actual door frame consists of a steel frame, which is capable of supporting 500 to 1000 pounds without sagging. 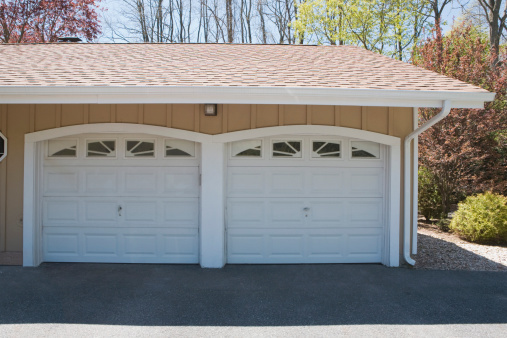 What Is a Prefinished Door?